I was contacted recently by Sara Moraille, who attended a workshop of talks on art that I was involved with in Kansas City, Kansas some years ago. She wanted to show me photographs of the new Adoration Chapel, Our Lady, Queen of Angels, at her parish, Holy Angels Catholic Church in Basehor, Kansas. Sara served on the interior design team for the parish, and with the permission of the pastor, Fr Richard McDonald, I pass on the photographs she sent to me. They were taken last month at its dedication, celebrated by Archbishop Joseph Naumann. 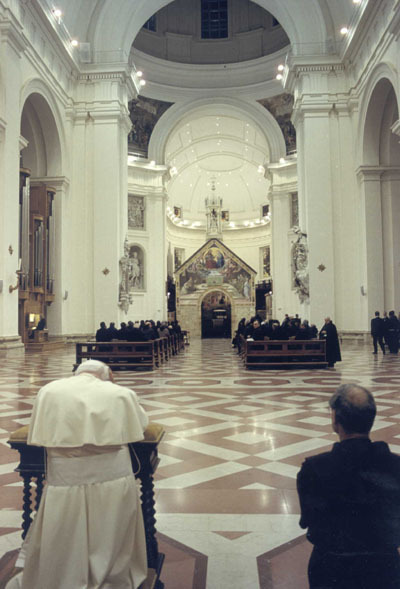 We are not out of the woods yet in regard to the recovery of our art and architectural traditions in the Church in the West. Steadily, however, we are seeing more and more projects like this, at ordinary parishes (I mean that as a compliment) which want to put resources into creating places of beauty. Many of these, in the Roman Church at least, tend to focus on artistic styles derived from classical naturalism. That is absolutely fine. But there are other traditions, and I am particularly pleased to see a congregation looking to the Gothic period for inspiration as well. 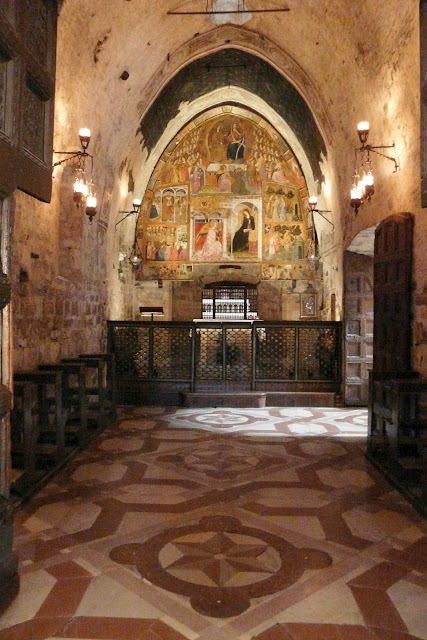 Here are some images of the original in Assisi, interior and exterior.